Industrial grade design for heavy duty jobs. Tired of spending multiple days pulling down large industrial systems? Some large systems up to 2500 tons can take up too 5 or 6 days of continuous evacuation to achieve desired levels, With this system you can turn 5 or 6 days into one or two days and 24 hour pull downs into several hours. 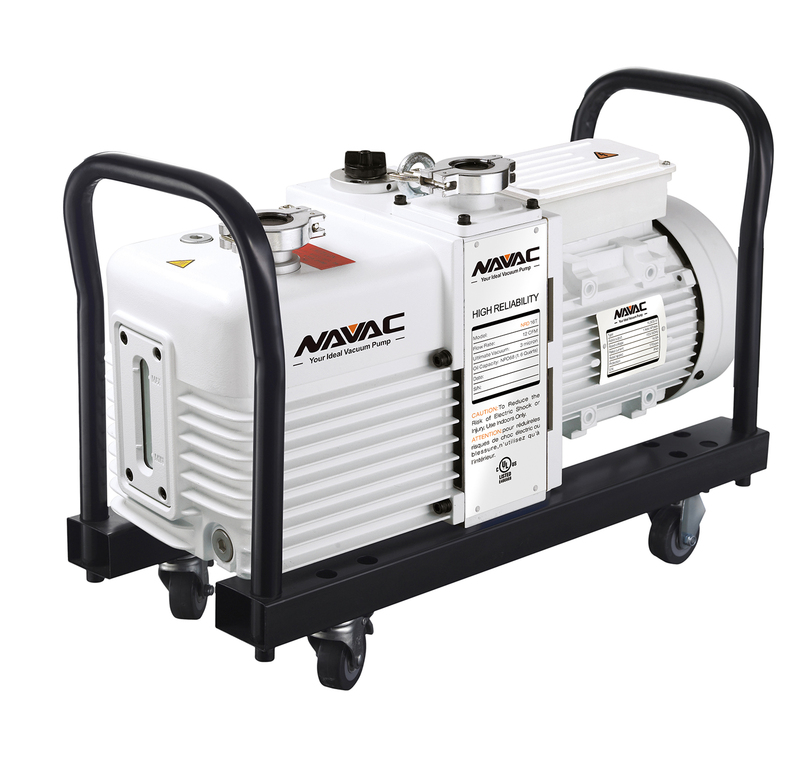 The NAVAC industrial pump can be run for 6 to 12 months continuously without changing the oil, no more stopping back at the jobsite to change oil in the middle of the night. The Micron Gauge is Bluetooth compatible so the evacuation can be documented. That means you understand what is happening in the evacuation at any given point. 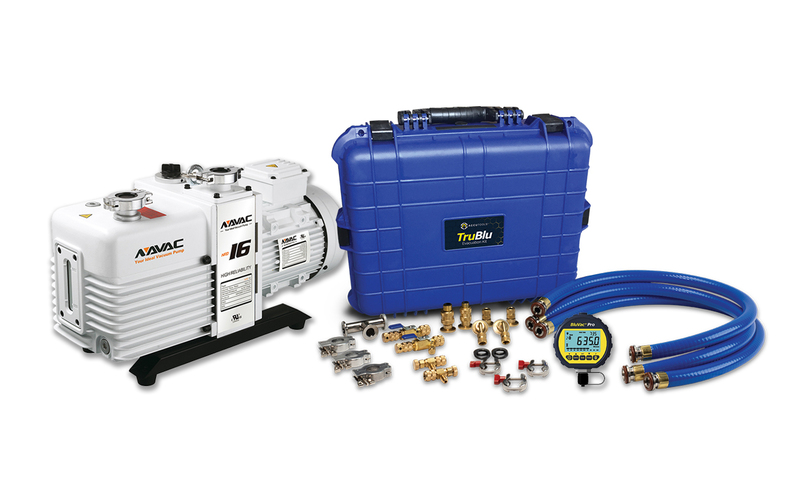 The TruBlu Hoses in this kit are up to 16 times faster than normal 1/4 inch hoses. This kit was designed to reduce large system evacuation times up to 80%, Time is money. This kit will also allow you too achieve the deepest evacuation in the market, much lower than the Welch pumps that everyone is used too. The price of this kit with hoses and the best micron gauge in the market is half the price of just an equivalent Welch pump alone. Take a moment to watch the video below and feel free to call TruTech Tools with any questions. Check out the white paper (link below) to one of the coolest evacuations done with this kit. Dual-stage system with ultimate vacuum down to 3 microns. 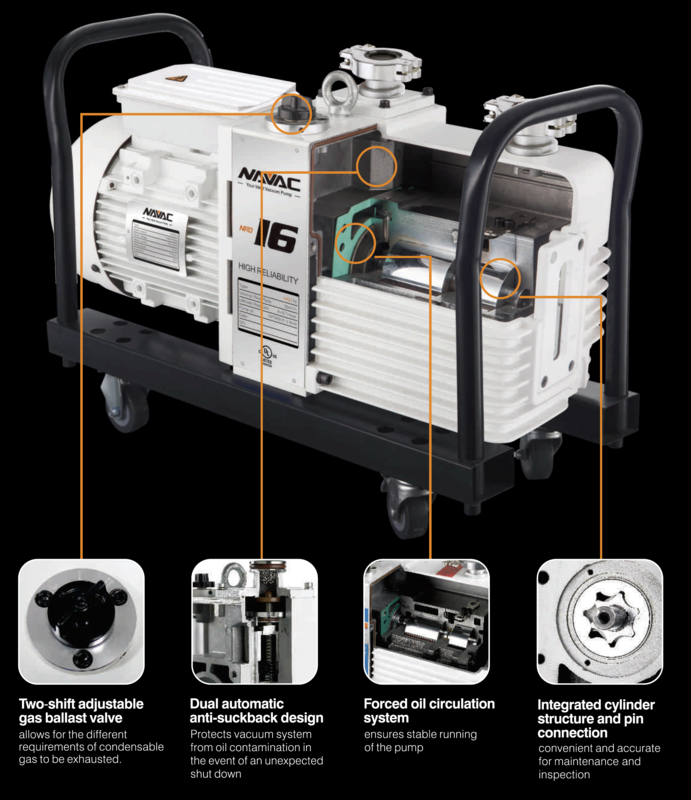 The NRD16T 12 CFM pump features industrial grade design to stay fast, robust and durable. Allows for the different requirements of condensable gas to be exhausted. 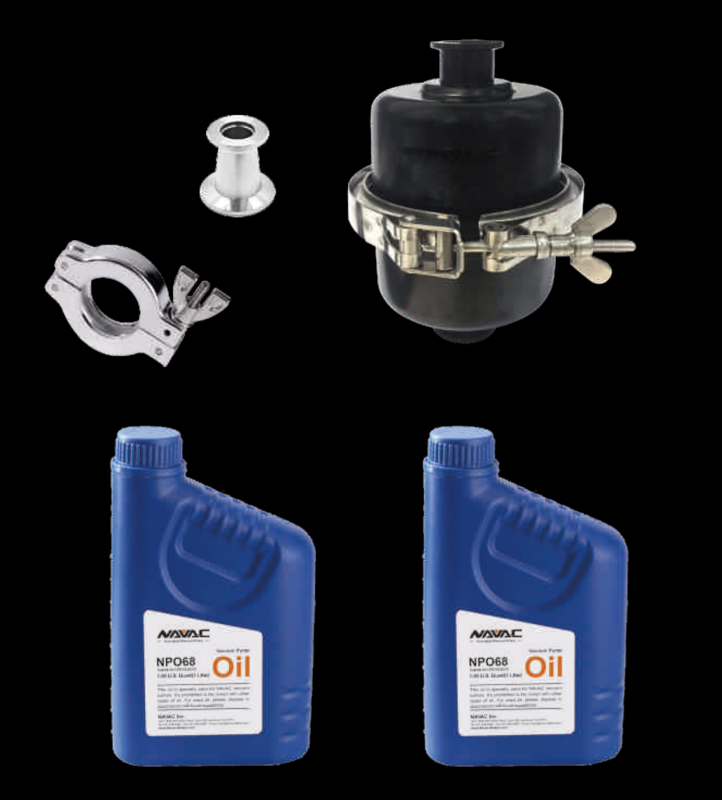 Protects vacuum system from oil contamination in the event of an unexpected shut down. Ensures stables running of the pump. Convenient and accurate for maintenance and inspection. 3775 TruReward$ points will be placed in your account when you buy this item.